Ever the home of progressive thinkers, Sweden now has a political party that is officially in favour of what many would call internet piracy. 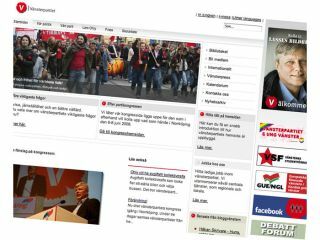 Vänsterpartiet, or the Left Party of Sweden, had its annual congress last weekend, at which one of the motions up for debate was whether or not online sharing of copyright material should be legalised. The motion passed. Although the Left Party is not in power, the Center Party is and it too is looking at the whole issue of copyright legislation. If commonsense can prevail in Sweden, who knows what’s possible elsewhere?